Body Cupping Cups are a must-have for both health and beauty. Body Cupping Cups can provide immediate and lasting relief of pain throughout the body. In addition, they smooth cellulite on the arms, legs, tummy and buttocks, slim arm and leg circumference, visibly firm skin, reduce stretch marks and spider veins, relieve muscle and joint pain, neck, shoulder and sciatica pain, stress, tension, fibromyalgia, carpal tunnel, and break down and prevent scars. 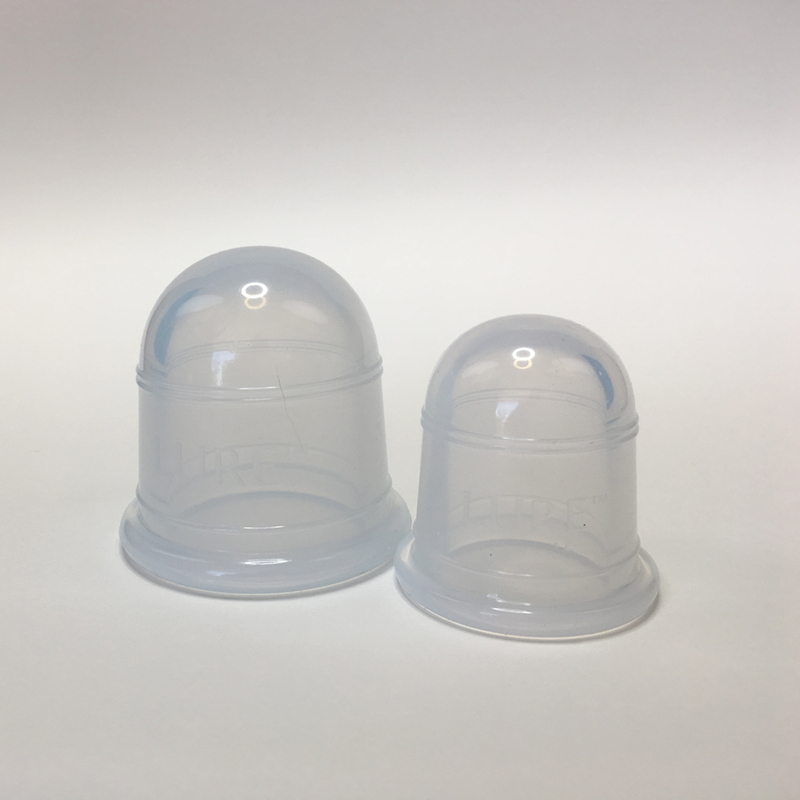 Body Cupping Cups can also help release tight fascia due to physical injuries, trauma or scar tissue – all while stimulating lymphatic drainage. Unlike those costly fascia blasters on the market, our BPA-free cupping cups cost 1/5th the price and are just as effective. Your Set includes: Two BPA-Free cupping cups for any type of body work: 1 Large soft shape (2.5”) and 1 Small hard shaped (2”). See more benefits below and please enjoy my body cupping video below on how to smooth cellulite on your arms and legs. Not all cupping cups are the same! Our premium quality ZEN body cupping cups are engineered by Lure® Essentials, a pioneer in cupping design. They provide safe, correct suction, are made with healthy, medical grade silicone and are BPA-Free! Happy Cupping. Professional athletes, models and celebrities use cupping to help reduce pain, smooth cellulite and rejuvenate the look of their arms, legs, tummy and buttocks. Therapy experts use our cupping cups to address a wide variety of pain ailments – many of which can inhibit movement, affect performance and effect our mood and wellness. How to Use Body Sculpting Cups to Smooth Cellulite: Apply 100% pure squalane oil or emu oil on the thighs and or arms. Massage the skin for 60 seconds. Watch the video on this page for cupping instructions for cellulite smoothing. About Fascia Fascia plays an important role in our bodies. It surrounds our organs, muscles, bones, nerves and more. Healthy fascia is relaxed, pliable and stretches and moves without restriction. However, when we experience physical injuries or scarring and inflammation after trauma or surgical procedures, our fascia can become tightened. Tightened fascia causes excessive pressure resulting in pain, headaches or restriction of motion. Body cupping is known to help alleviate tightened fascia. It’s a less invasive, fascia blaster than other tools you may have seen. NOTE: Use the Lure® Essentials Cupping Cups at your own risk. Lure®Essentials, HollywoodBeautySecrets.com, Louisa Graves and their associates, affiliates and heirs assume no responsibility for personal injury, damage or other loss or damages sustained by or through the use or misuse of the products or methods described on this page/website/video. Lure®Essentials and HollywoodBeautySecrets associates or heirs shall not be held liable under any circumstance for incidental or consequential loss, damage or injury, due to direct or indirect use or misuse of the prouducts(s). Keep out of reach of children or pets.